According to a recently published study in the British Medical Journal (BMJ), many people misjudge volume based on the shape of the container into which it is poured. This phenomenon, often referred to as "portion distortion," specifically relates to the unintentional pouring of more alcohol into a short, wide glass than into a tall, thin glass. In some instances a cocktail in a short, wide glass contained as much as a quarter more alcohol than the pourer intended. The BMJ study investigated whether training and experience could correct this tendency by comparing the pouring habits of a group of students and a group of experienced bartenders. All participants were asked to pour 11/2-ounce shots from a bottle into one of two types of glasses: short and wide and tall and slender. The students poured 30 percent more into the short glasses than the tall glasses. 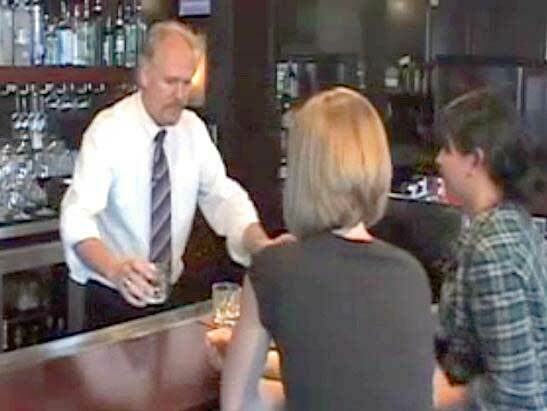 The experienced bartenders also overpoured, placing 20 percent more alcohol into the short glasses than the tall glasses.